On Sunday, March 5th, our Brooklyn Youth Fellows led their first-ever conference, designed for youth, by youth. The Youth Resistance Conference — aka #YouthResist2017 — was held in partnership with youth leaders at the YWCA Brooklyn. 40 young people attended #YouthResist2017, participating in five mini-workshops focused on the Fellow's five Justice Pillars: Trans Justice, Healing Justice, Housing Justice, Immigrant Justice and Racial Justice. The small break-out groups then regathered for a larger group discussion on the intersections of our lived experiences and movements. Over 15 schools and nonprofit organizations represented at #YouthResist2017 including H.O.L.L.A, New York Immigration Coalition, Atlas DIY, Red Hook Initiative, Mizteca, Footprints, Henry Street Settlement, and more! The conference was completely youth-led, youth-facilitated, and youth-envisioned: it featured youth voices in every aspect; all of the participants articulated that this experience was special and unique for them. #YouthResist2017 culminated in the announcement of the Fellows' Youth Voice Awards. All participants left with information on the application and ideas for projects that they would like to see or implement in their schools, organizations and communities. Spread the word! 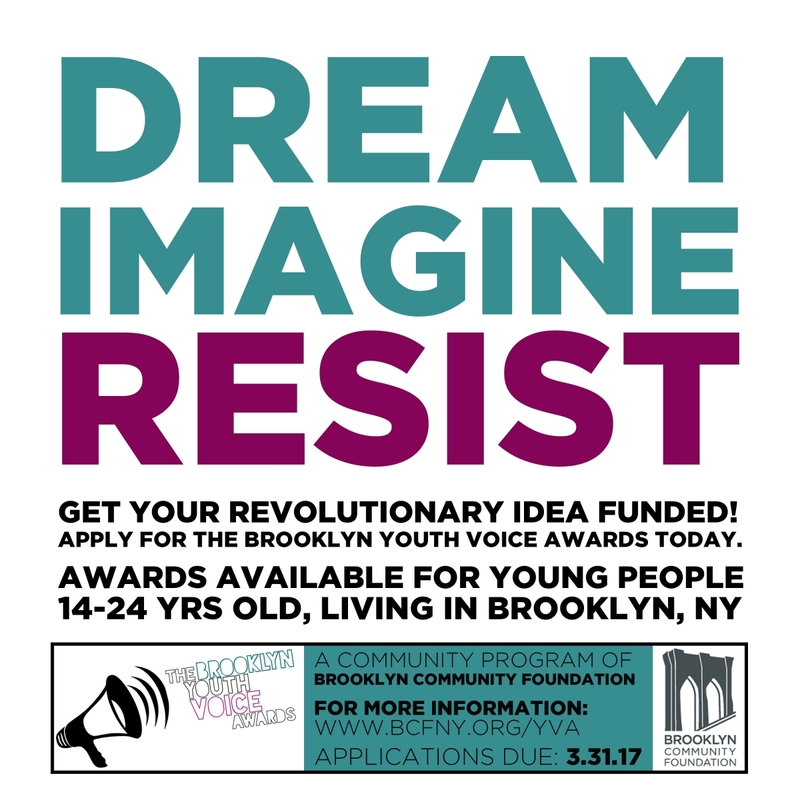 The deadline to apply for the 2017 Youth Voice Awards is this Friday, March 31st. Learn more here. Thank you Shafrarisi, Alex, Gabi, Daniel, Ray, Ray-Ana, Nirmeen, Rachie, Alanis and Peace for your outstanding leadership and commitment to making the Conference a reality! The conference was completely youth-led, youth-facilitated, and youth-envisioned: it featured youth voices in every aspect; all of the participants articulated that this experience was special and unique for them.